The Post Baccalaureate National Science Foundation (NSF) Noyce Scholarship program provides funding and support to science, technology, engineering and math professionals interested in pursuing a career in teaching. As Rio Salado College’s first class of Noyce Scholars prepare for student teaching, the RSC Teacher Preparation Program is recruiting for a second cohort. According to Noyce Scholars Program Manager Karen Nave, the program is currently partnered with 14 high need school districts looking to fill teaching positions across Arizona. “We are seeking highly-qualified bachelor degree holders with significant life experience in science, engineering or math who can inspire and meet the needs of 21st century students,” Nave said. STEM professionals who are interested in sharing their knowledge with the next generation are encouraged to apply by the December 30 deadline. Qualified applicants will receive a $16,500 stipend to offset the costs of teacher preparation classes, certification and professional association fees. "The concept behind this program is an incredibly good idea,” said program participant Thomas Hagen. "Helping people who are in the math and science fields to make the transition into teaching, and getting them into high needs classrooms makes me excited that someone had a great idea that came to fruition." Hagen graduated from West Point with a degree in engineering. After spending 22 years in the U.S. Army, working as the technical coordinator for a local school district in New York, owning his own business and serving as a volunteer fireman for 11 years, Hagen said he believes he has quite a bit to offer his prospective students. Hagan said his experience with the program and the eight other students in his cohort made him feel like what he is doing is important. “The people running the program at Rio Salado have been extremely professional and great motivators. They are high energy and really get you fired up to go out and do great things in the classroom," Hagen said. "The other Noyce Scholars are people like me who have varied backgrounds and are bringing a great deal of life experience to the table. I love being associated with such a high quality group." For more information about the NSF Noyce Scholarship visit riosalado.edu and search Noyce or contact Pam Asti, at 480.517.8066 or Pam.Asti@riosalado.edu. 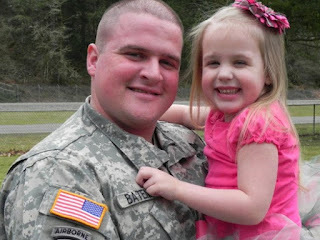 Serving as an infantryman in Afghanistan hasn’t stopped Army Sergeant Jason Bateman from continuing his education. Even during deployment, Bateman has managed to take computer science classes online through Rio Salado College. “I would like to be able to say that I was able to get my degree while working a full time job,” said Bateman. “Plus, it would be nice to have the credentials to be able to get a good job when I get out of the army." Bateman knew the basics of computers, but didn’t realize the extent of what computer programs have to offer. He is currently enrolled in online classes such as Intro to PowerPoint and Microsoft Access and plans to earn a certificate of completion in computer programming and associate degree in applied science. However, balancing a full-time job while taking classes can create challenges. Bateman has long history of family members who served in the military and enlisted in 2001 just two weeks after graduating from high school. “It was always my dream to be in the military, but not in school. My grandfather graduated from Ohio State University while pursuing a career in the Air Force. So I know that it can be done,” said Bateman. He hopes that he will also be a positive example for his daughter who just started kindergarten. “I think that if I am able to show her that I am going to school, it will motivate her to try harder,” he said. His advice to other military members with an interest in pursuing a degree during their service is to get enrolled. “With the educational programs that are offered by the military, it’s very easy to obtain a degree. It might be difficult due to training schedules with the military, but it is absolutely possible,” said Bateman. Rio Salado College was recently recognized as a military friendly school for the fourth consecutive year by Victory Media. The college currently serves about 1,800 active duty services members, spouses and dependents and about 900 veterans. Rio Salado College also has a team of advisors with military experience that are available to help active military or veteran students throughout their academic experience. Published in the Tempe Republic Saturday, Sept. 22, 2012. Rio Salado College has been named to Victory Media’s Military Friendly Schools ® list for the fourth consecutive year. 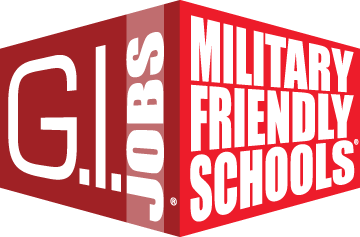 This places the college in the top 15 percent of colleges, universities and trade schools for offering the highest level of educational support for America’s military service members, veterans, and spouses. The list was created as a result of data collected from a survey of more than 12,000 VA-approved schools nationwide. The college currently serves nearly 2,600 active military service members and more than 2,500 veterans, representing all five service branches. 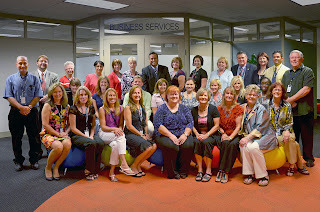 Established in 2011, the EVVEC is a unique one-stop-shop where military personnel, veterans, and their spouses can connect to workforce development, educational and community support and resources. Victory Media is veteran-owned small business founded in 2001 which provides, data-driven, Military Friendly ® lists. Victory’s lists are published in G.I. Jobs, Military Spouse, Vetrepreneur magazines, republished in national and local periodicals and are frequently cited on national and local TV stations. Rio Salado College has received notice that its accreditation from the Higher Learning Commission (HLC) has been reaffirmed for the next 10 years. Accreditation is a process used by higher education to evaluate colleges, universities, and educational programs for quality. This process ensures that an institution’s academic program meets acceptable standards. Attending a regionally accredited school is important for students who plan to transfer to another institution or pursue graduate programs in the future. Institutions must be regionally accredited to qualify for participation in federal financial aid. In addition, employers may want to verify the accreditation of a college or university before reimbursement of tuition or fees as part of company-sponsored benefits. The college’s next HLC reaccreditation visit will take place in 2021-22. Rio Salado became a candidate for accreditation in 1978 and has been continuously accredited since 1981. On September 17 citizens of the United States of America will celebrate the 225th anniversary of the signing of the U.S. Constitution. When the Constitution was signed in 1787, the population of the United States was 4 million people; today it is more than 312 million people. Thomas Jefferson, founding father, and third President of the United States stated that in order for the country and its citizens to maintain their freedoms, people need to be educated and informed. Last week, Rio Salado College staged a fire drill to practice emergency evacuation procedures. To learn more about our emergency preparedness efforts click here. 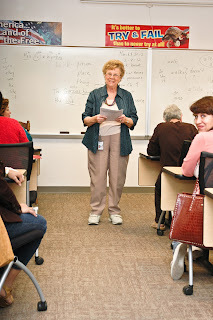 Rio Salado College is not running short on outstanding adjunct faculty. On Wednesday, August 29, 2012 the college honored 36 adjunct faculty members at the 2011-2012 Outstanding Adjunct Faculty awards reception. As in previous years, the college honored individuals who have shown exceptional and admirable work by way of teaching, learning, and assessment. Dr. Bustamante went on to express his gratitude for the significant role the faculty have played in maintaining the college’s reputation as a national leader in higher education. Marilyn Dadey-Cutrufo, Education; Jennifer Lane, Sociology; Jennifer López, Spanish; Polly Mack, Reading; Howard Oechsner, Humanities; Jacqueline Rome, Education; Lana Short, Computer Information Systems. Lynn Arouh, Philosophy; Franklin Berry, Communication; Sheila Broglia, Chemistry; Susan Bullen, Geography; Christine Burke, Education; Nickie Chouinard, Biology; Shannon Christman, Computer Information Systems; Kathleen Conway, English; Kamela Craig, Counseling and Personal Development; Michael Crusa, Public Administration; Patricia Ficere, Law Enforcement Technology; Donna Germuska, History; Bernice Gersitz-Cherlin, Airline Operations; Kristen Hamilton, Religious Studies; Eugenia Ilisei, Allied Health; Leslie Jackson, Early Childhood Education; Mary King, Motor Vehicle Customer Service; Marie Main, Business; Mark Maresca, Spanish; Melynda McBride, English; Angela McWilliams, Biology; Stan Pettigrew, Economics; Lindsey Repak, Mathematics; Janice Robillard, Humanities; Mirka Rogalski, Addiction and Substance Use Disorders; Stacy Smith, Utilities Customer Service; Alexander Spence, Psychology; Andrea Strock; Jeffrey Williams, Mathematics. Partners from 16 US Higher Education institutions will come together to share practices, intervention strategies and anonymized records from more than 1 million students to look for patterns that predict success. The Western Interstate Commission for Higher Education (WICHE) recently announced that WCET, the WICHE Cooperative for Educational Technologies, has been awarded a $2,557,920 grant to validate and extend their ground-breaking work exploring effective uses of big data predictive analytics to improve opportunity and success for low-income and first-generation students. Rio Salado College is one of six founding institutions of the Predictive Analytics Reporting (PAR) Framework which helps predict risks to student retention and progress toward degree completion, and allows institutions to remove obstacles to student success and demonstrably improve rates of student retention. 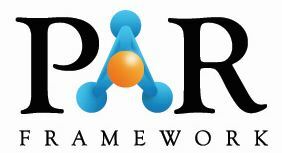 The goal of the newly funded research is to validate and extend the PAR Framework data model, data definitions and research and analysis protocols developed by PAR Framework partners during the successful PAR Framework proof of concept demonstration in early 2012. These implementation efforts will offer institutions easy to understand resources, including reports, dashboards and decision-support tools, to anticipate threats to student achievement, and remove barriers to student success before they become problems. The grant will support the expansion of the PAR Framework data set to more than 1 million student records from across 16 WCET member institutions. “With 16 participating institutions and over 1 million anonymized student records in the shared data set, it will be possible for the PAR Framework to pursue our goal of identifying trends that contribute to student success, program momentum, and online course completion,” noted Dr. Phil Ice, Principal Investigator for the PAR Framework. “The cross section of community college, 4-year and for profit institutions featuring everything from traditional to progressive and competency-based programs will significantly advance our modeling capabilities”. Each one of the participating institutions is an acknowledged leader in the world of online learning. The six founding PAR Framework partner institutions include; American Public University System, Colorado Community College System, Rio Salado College, University of Hawaii System, University of Illinois Springfield, and the University of Phoenix. They also include ten new institutional partners Ashford University, Broward College, Capella University, Troy University, Lone Star College System, Penn State World Campus, Sinclair Community College, University of Central Florida, University of Maryland University College, and Western Governors University. 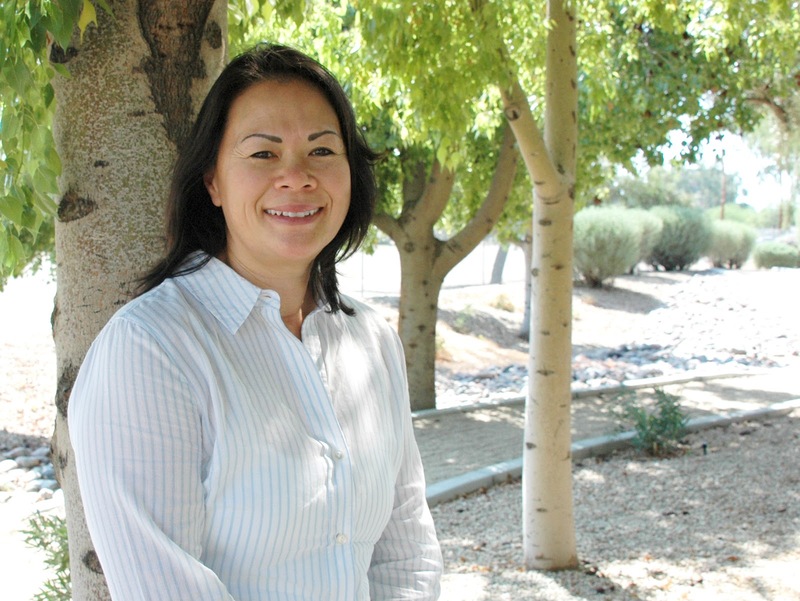 Rio Salado recently welcomed two new faculty chairs to its staff this August, Angela Kwan and Richard Cuprak. 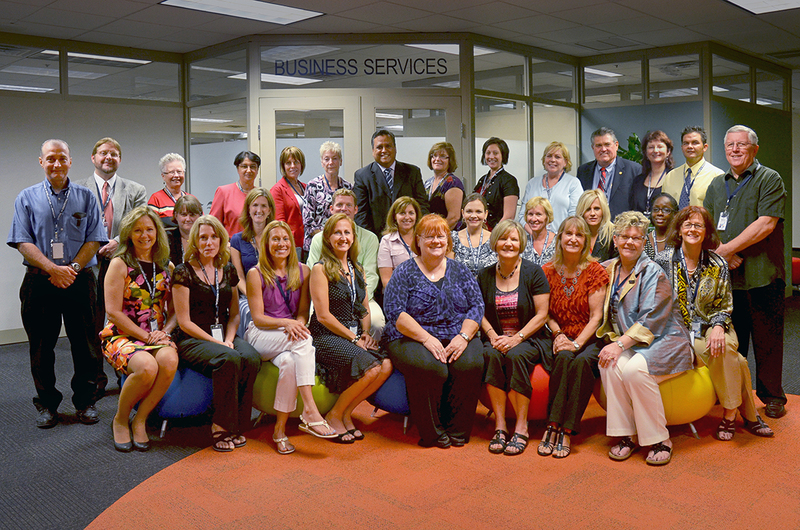 In Rio Salado’s unique faculty model, 23 faculty chairs oversee more than 1,400 adjunct faculties. This provides students a strong curriculum with a diversity of perspectives to learn from. Angela Kwan was a Lieutenant in the Phoenix Police Department where she trained officers and worked patrols. She has a master’s in arts with a focus on distance learning and bachelor’s degree in public administration. She has also taught as an adjunct professor at Rio Salado College. Richard Cuprak worked as a product development engineer and has taught at Arizona State University and Gateway Community College. He has a master’s degree in mechanical technology in engineering and a bachelor’s degree in mechanical engineering. 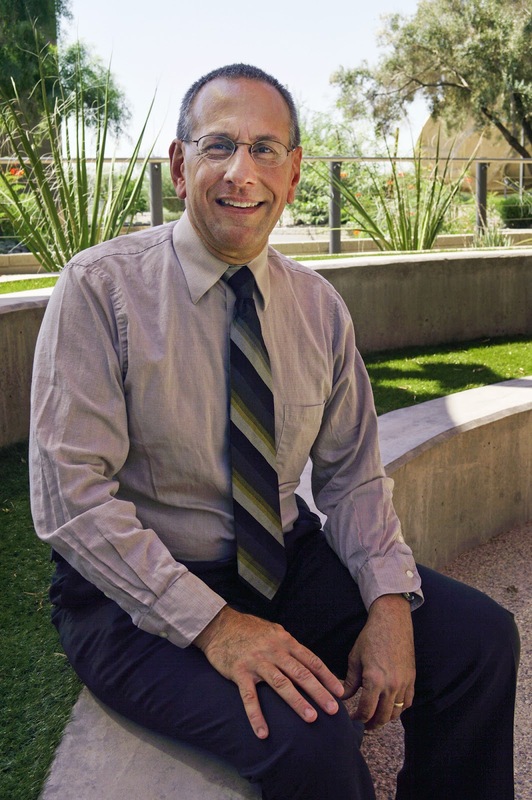 Serving the community is a way of life for a new faculty chair at Rio Salado College. Angela Kwan served the Phoenix community as a Lieutenant in the Phoenix Police Department for nearly 22 years and is now the faculty chair for public safety programs at Rio Salado College. Kwan hopes to serve the community by improving the way students get an education and transition into the workforce after graduation. “I’ve always felt this engrained characteristic to give back,” she said. She plans on expanding internship opportunities for students, especially in the paralegal program. “It’s easier to get hired as a paralegal when you have worked as a paralegal,” Kwan stated. Because of her time in the police department, Kwan understands the way the county and city attorney’s offices work and is looking to help students find internships there, along with private practices. Kwan’s experiences in the police department benefit her as a faculty chair as she draws on life experiences to strengthen the classes for Rio Salado’s students. She worked her way up from a patrol officer to a Police Academy Trainer during her career as an officer. She has a master’s in arts with a focus on distance learning and bachelor’s degree in public administration, both she earned while she was an officer. Kwan focuses on education and training because she knows how important it can be to the student. “The way I look at it is creating a future through education,” Kwan explained. Kwan was born and raised in Phoenix and has experienced community college, the university, and has seen almost every aspect of the community as a police officer, including the high-risk population. Having experienced shift work while on the police force, Kwan knows how important online classes can be for students with various work and family responsibilities. “[Rio Salado] meets the needs of a lot of learners,” Kwan said. “It’s the convenience of going to class with a few clicks of the mouse,” Kwan said about the strength of Rio Salado College’s class and faculty structure. While Kwan loves to run and stay fit, she also enjoys keeping her community in shape. She plans to continue volunteer work and is even staying on as a reserve officer for the police department. For Kwan, her position at Rio Salado College is another opportunity for her to give to her community. A new faculty chair at Rio Salado College embraces the challenges of the new position because he knows the greatest growth and success can come from challenges. 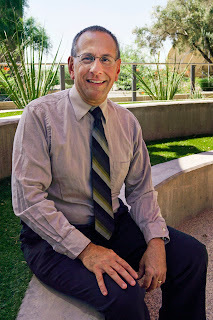 Richard Cuprak is the new faculty chair for applied technology at Rio Salado College and his focus is on the students. “I want to challenge students to challenge themselves,” he said. Cuprak has a history in engineering and product development, which meant working to meet the needs of society and the people around him. “My personal goal is to really make a change in how people perceive their role in the world,” Cuprak explained. As the faculty chair over a program that will focus on alternative energy and sustainable technologies, Cuprak will be educating students on ways to improve the way we use energy, money, and time. “That’s the idea here at Rio, always challenging ourselves to improve,” Cuprak said. He has also taught at Arizona State University’s Polytechnic Campus and at Gateway Community College. His goal is to teach his students to really think and use their minds. Cuprak believes that learning is more than just passing tests and getting grades, it’s about developing thoughts and ideas that lead to success. “I always tell my students they have the greatest computer ever…in their heads,” Cuprak said. He has a master’s degree in mechanical technology in engineering from Arizona State University and a bachelor’s degree in mechanical engineering from Northern Arizona University. Cuprak was born in Phoenix but has lived all over the state of Arizona. He attended two different high schools, Clifton High School and Chinle High School, located on different ends of Arizona from each other. His passion for teaching and helping the individual student will continue as he works within Rio Salado’s faculty model that allows for students of all learning types to benefit from the various adjunct faculty. “All of the [Rio Salado] faculty respects the individual and their learning needs,” Cuprak explained. He considers himself a family man with a love for the outdoors. Cuprak is a father of two and has been married for almost 22 years. Throughout his life, he has challenged himself and others to be the best they can be, and to hold to what they believe is right. Now Cuprak begins a new chapter where he can increase his reach to students and help them find the success he knows they are capable of achieving. Tempe based Rio Salado College now offers three new classes for students who dream of becoming a world-renowned cook -- or those who just want to make healthy, sustainable meals at home. 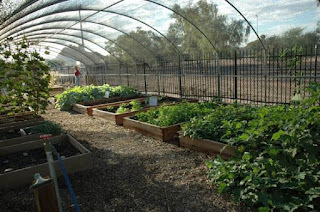 The new classes, including AGS 182 Gardening Practices and Techniques, CUL 113 Commercial Baking Techniques and CUL 105 Principles and Skills for Professional Cooking, provide students with hands-on experience working in Rio Salado’s on-site garden and Café. The classes are part of the sustainable food systems program led by Director Michael Hodgins and are presented in a hybrid format. Students meet in-person twice a week and complete online assignments on their own schedule. The knowledge and skills needed to maintain an organic kitchen are increasingly in demand as consumers become aware of the benefits of a healthy diet. Not only do organic meals promote a healthy lifestyle for the individual, but learning to recognize and cultivate organic food sources promotes a cultural shift that may contribute to a healthier and more sustainable society. Although buying your produce at a local farmer’s market can be more expensive than the traditional alternative, it’s worth the elevated price, said Hodgins. The Café and Garden @ Rio will host the second annual Food Day Celebration on October 24th from 11 a.m.-1 p.m. in partnership with Mesa Community College, Tempe High School and Chipotle. The event will include cooking demonstrations, a farmer’s market, garden tours and more. Students who are interested in these classes or a sustainable food systems certificate can learn more at riosalado.edu/food or Facebook.com/CafeAtRio.